Ever since Lucas was born 3 short weeks ago, i've been so excited to dive in and scrap my newest addition. Of course I used Fancy Pants' Road Show line since that is one of my all time favorite FP lines, and it seems to be my go-to collection for any occasion! I covered the naked FP chip letters with Tim Holtz crackle paint and some clear glitter. I finally used the gorgeous flocked transparency, too, that i've been saving (hording?) for just the perfect occasion. Journaling reads: Before you came along, I didn't even realize what I was missing. But the moment I held you for the first time, I knew. You complete our family. You complete me as a mommy. And I am eternally grateful. I love you, our little Lucas Blake! Beautiful pages! How in the world do you find time to do such beautiful work with a new born - you are my super hero! I think that EK Success punch is awesome, where did you find it!? Give little Lucas a smooch from me! Your pages are gorgeous Staci! I always love your design. Congrats on new baby! Ohhh girl... you got me. Your words on that first page of Lucas got me all teary! How nice it must be to have that feeling! And I can understand your passion for the Road Show collection! It's one of my all time faves of FP too. I still need to find me some Lilac House though! Again, gorgeous work, my friend! Oh I just love your layouts and your words make my heart so happy! God bless you and your family! Hi Staci!! 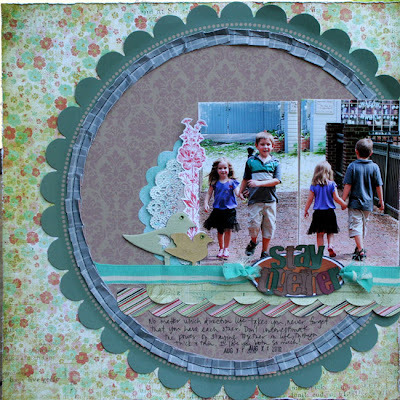 How wonderful to see this first layout of adorable Lucas! What a perfect treasure he is! Love, love your repetition of that fabulous photo and the mix of black & white and color. I can't believe you've been able to scrap all 3 of these pages in such a short time since having the baby. You are just amazing. Love, love the die cut shapes you're using, and I adore that Road Show line, too. You are seriously doing gorgeous work, even with 3 kids in tow! Amazing, girly! I love that princess LO so much! Congratulations on your beautiful and healthy baby boy! Lucas is such a great name, I love it! What fabulous layouts...where do you find the time? Really, how do you do it? glad you are on your road to recovery! he is sooo sweet! So glad to hear everyone is adjusted to another little one smoothly!!!!! Your kiddos are all adorable!!! Staci, you're the most amazing scrapper! 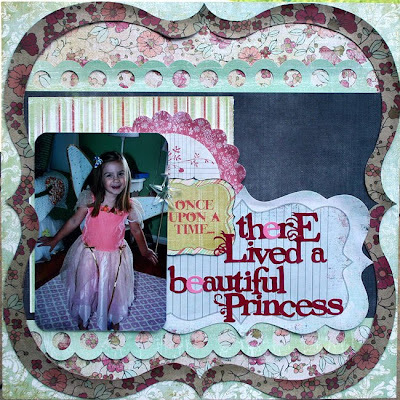 You make me wish I could do paper scrapbooking again... if only I had the room!! Miss you, give that baby a snuzzle for me. so glad you are back my friend! although I have no idea how you find the energy for it all! Baby Lucas is adorable and of course your layouts rock but I love the journaling on the Baby Lucas page. so sweet! big hugs to ya sweet friend!